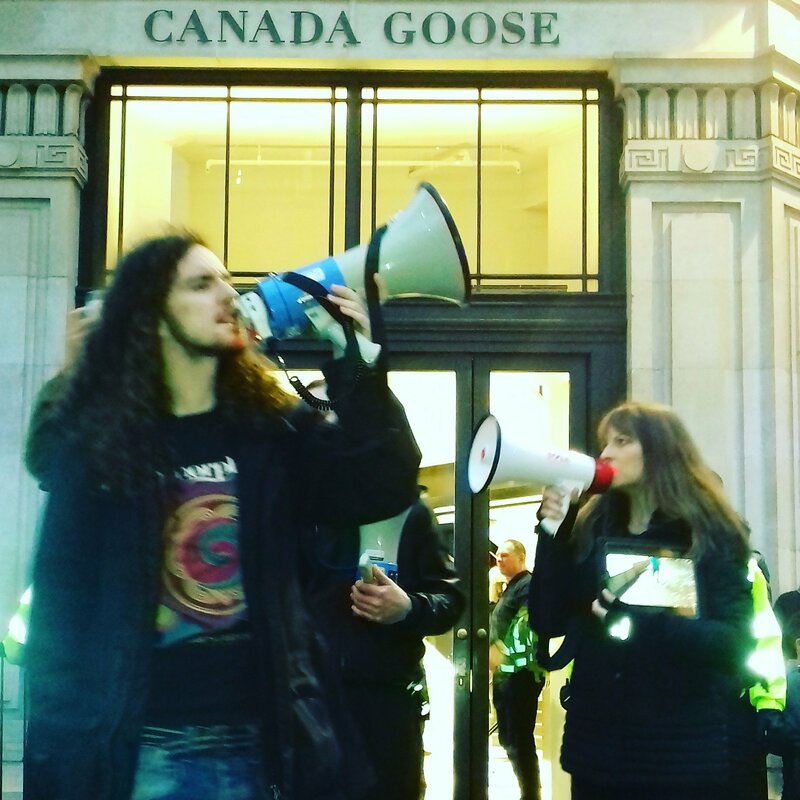 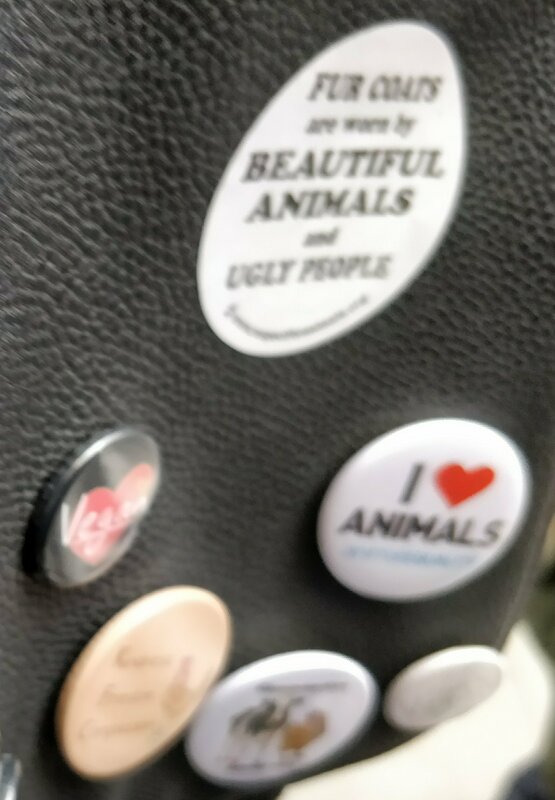 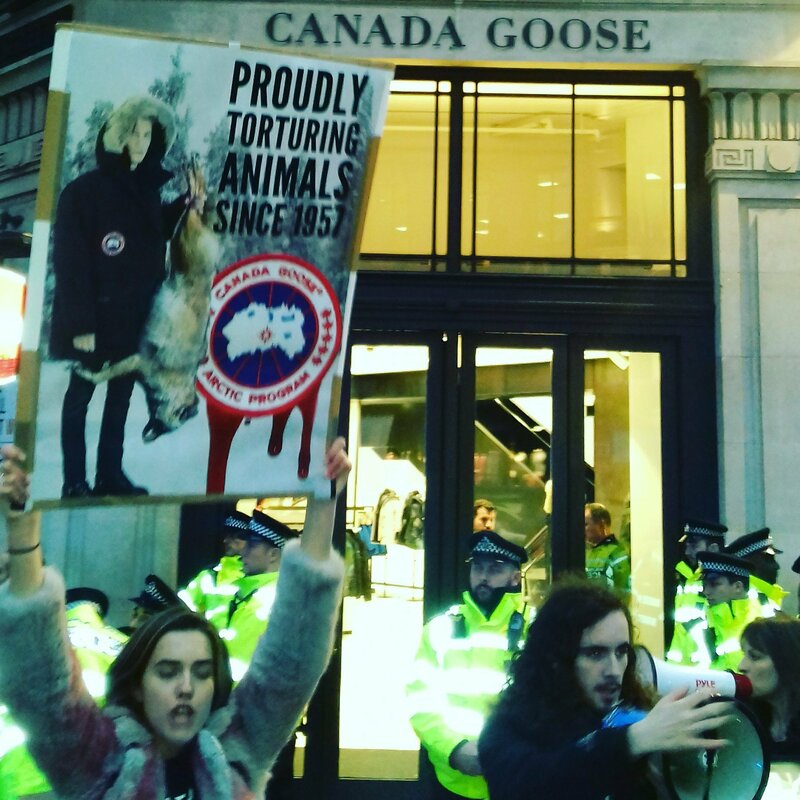 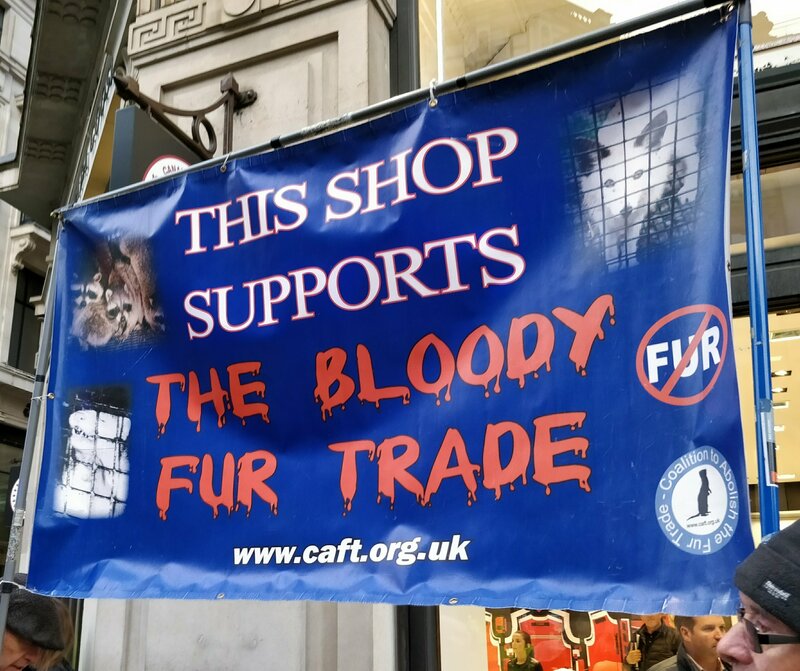 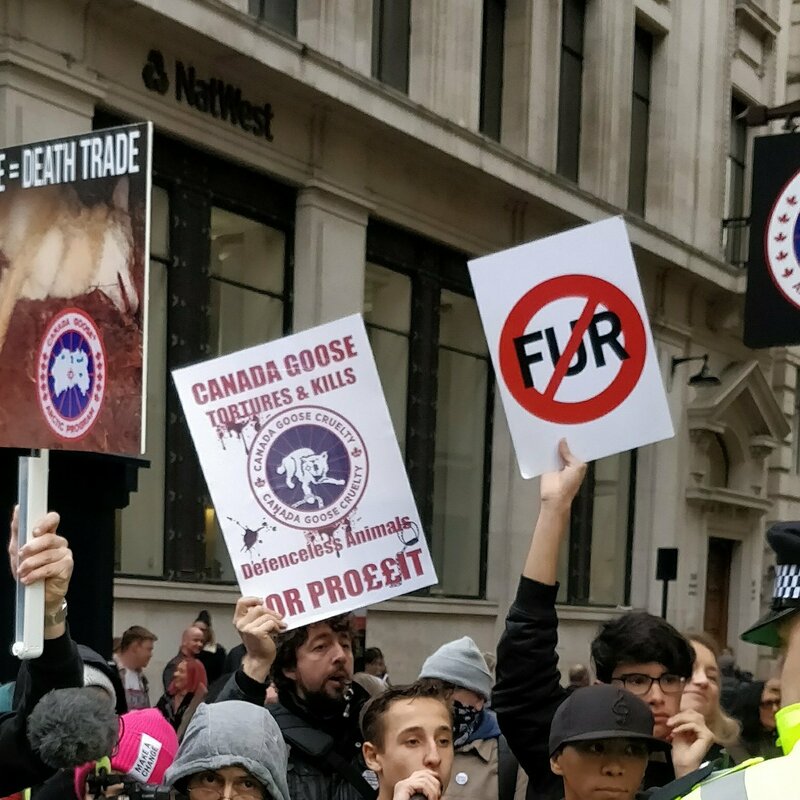 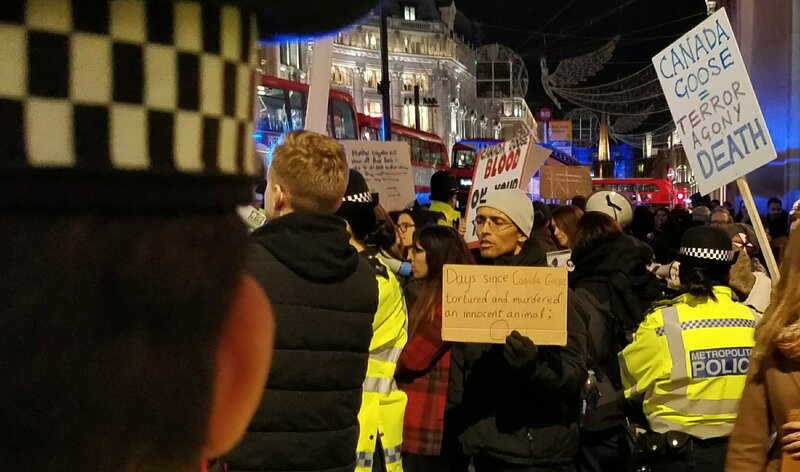 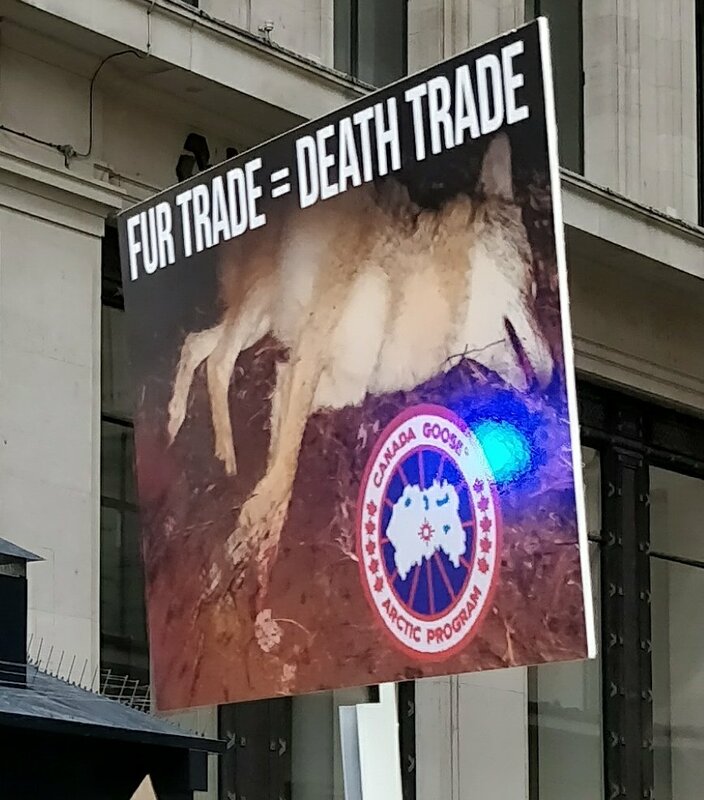 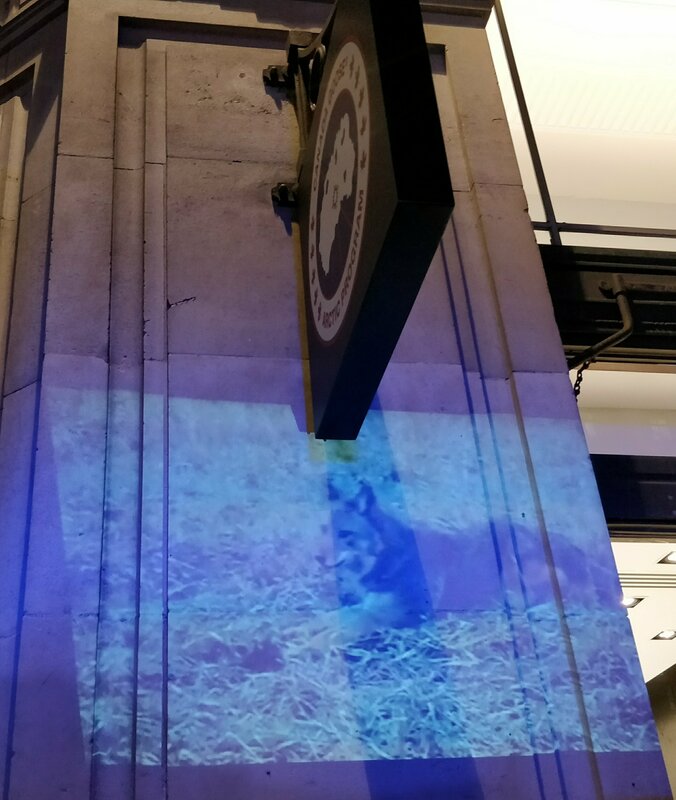 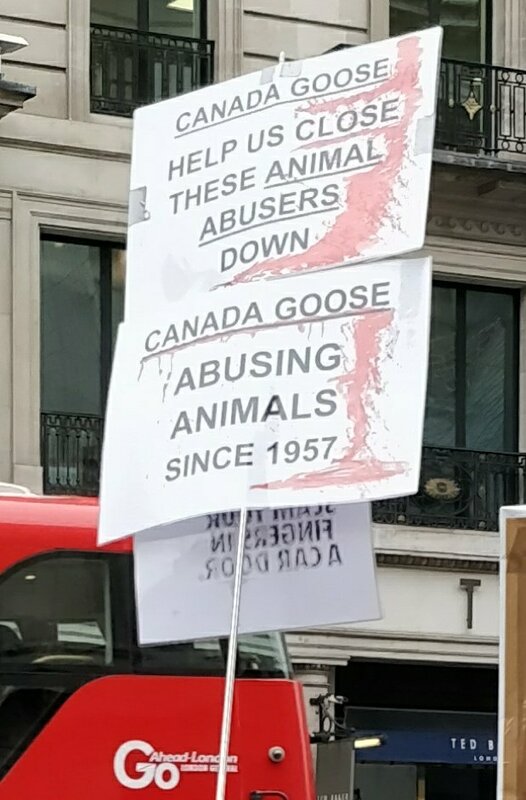 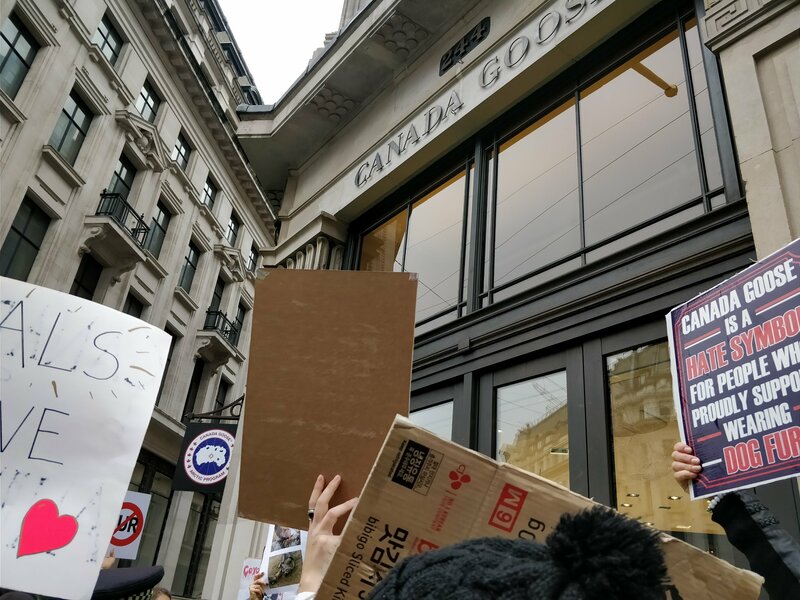 On Thursday Canada Goose opened their flagship London store on Regents Street so today about 400 of us showed them how welcome they are! 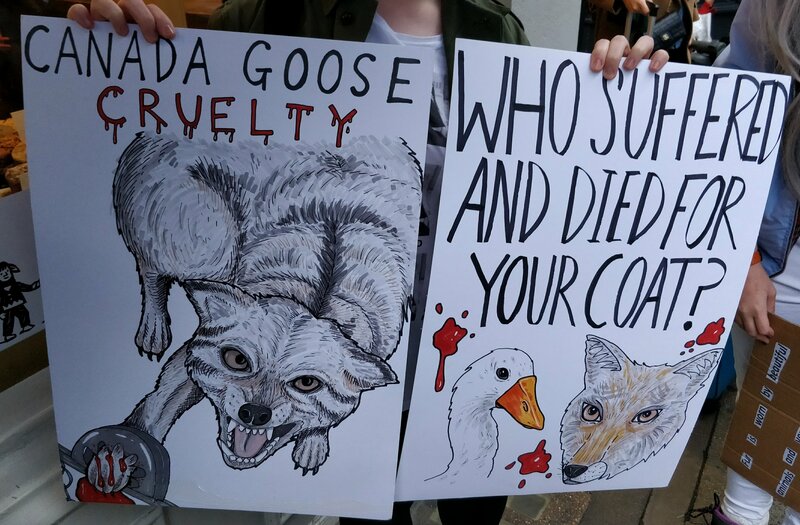 You can search the atrocities that go on to make these costs but it basically involves pulling feathers from live birds repeatedly and trapping cayotes for periods on time so they struggle and can become dehydrated before the hunters come and to shot them so their future can trim these fashion items. 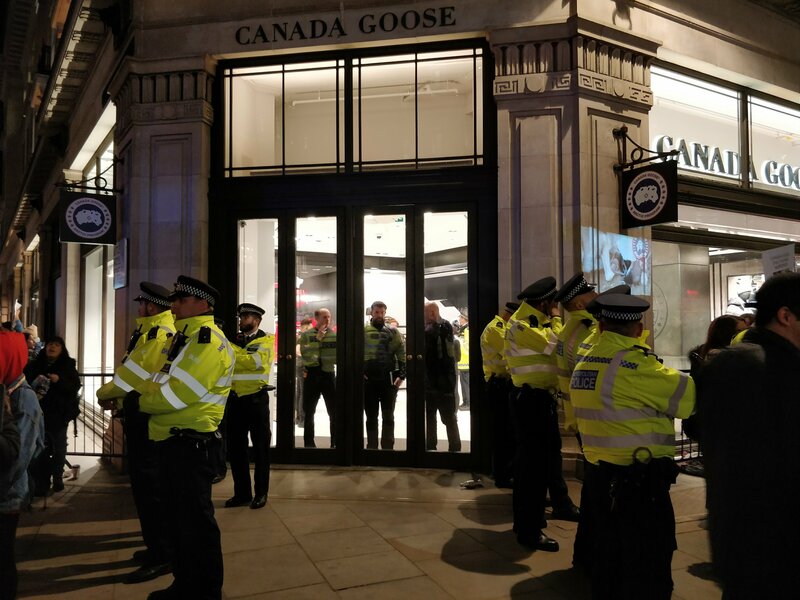 It’s not fashion it’s violence.